Click here to support the campaign for Libel Reform. 2. Professor Bridle, who is the managing director of the Second Claimant company, brings this defamation claim against Mr Williams, a Health and Safety inspector employed by the Second Defendant, the Health and Safety Executive, (‘the HSE’) at the HSE’s offices in Cardiff. The claim is made in slander in respect of words allegedly spoken by Mr Williams, when acting in his capacity as an HSE inspector, on or about 24 July 2008, to representatives of the University of Wales Lampeter, Mr Cennydd Powell, the University’s Head of Estates, and his assistant Mr John Fowden. …48. The Defendants submit that publications by the journalists referred to and by the author Richard Wilson in his book ‘Don’t Get Fooled Again’ contain far more serious allegations than those complained of in these proceedings. They are in permanent form, have received and continue to receive far wider publication and would inevitably have caused much greater damage to reputation than the alleged slander by an HSE inspector to the University’s estate manager and his assistant. 49. 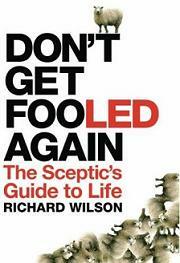 Richard Wilson’s book contains a Chapter entitled ‘Fake Experts and Non-Denial Denials’ which is almost entirely devoted to attacking Professor Bridle. It disparages his academic qualifications, and brands him as a ‘charlatan’ and a ‘liar’. An article in ‘The Guardian’ dated 30 June 2008 by Peter Wilby refers to Professor Bridle and Asbestos Watchdog in disparaging terms and suggests that his scientific credentials should be subject to careful scrutiny. A critical article suggesting that Professor Bridle was not a neutral expert and was linked to the Asbestos Cement Product Producers Association was published in CMAJ [ a scientific journal] by Kathleen Ruff on 22 December 2008. Critical comments have been published on a blog run by Richard Wilson in September 2008. 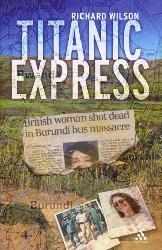 Julie Burchill wrote an article critical of Professor Bridle and Christopher Booker in The Guardian on 2 November 2002. …82. It is, I consider, apparent from the correspondence exhibited to the witness statements that the dominant motive in bringing the proceedings is to cause embarrassment and prejudice to the HSE because of the Claimant’s anger at the HSE’s refusal to accept his views on the subject in question. It is apparent from the evidence that Professor Bridle believes that a claim against the HSE will be likely to bring the debate about the difference in scientific views to a public forum more readily than a claim against an individual journalist would do. Thus I have concluded that, whilst I would not go so far as to characterise the claim as ‘vindictive’ in the same league as the claim in Wallis v Valentine, it does, in my view, fall into the category of a ‘vendetta’ as outlined in that case and in Bezant v Rausing. 83. I note particularly the fact that no defamation proceedings have been brought by Professor Bridle against any of the authors of some of the attacks made against him in the press, in the book by Richard Wilson and on the internet. The content of those publications are mostly in terms far more pejorative than the words alleged to have been spoken by Mr Williams, and will have had a much larger audience. The fact that such publications are widely available will inevitably put into issue the extent to which Professor Bridle’s reputation has been damaged by the alleged publication in this claim. I do not consider that Professor Bridle’s explanation as to why no such proceedings have been brought is credible when compared to the issue of these proceedings for words spoken in either a private meeting or a telephone conversation to either one or two persons (depending upon the evidence). Accordingly the Defendant’s application for summary judgment and for strike out succeeds in its entirety.